-- Select a Size/Color -- 1 Slipper - Out of Stock! 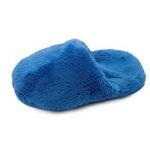 Your little pup will love to train on bring you your slippers with the Slipper Dog Toy in Blue! Keep your toes warm while you dog plays with their own Slipper Dog Toy! This plush toy is an adorable way to teach your dog to bring slippers to you. Posted On 06/02/17 by Sidney from Robertsdale, AL Yes, Sidney recommends this product! Posted On 05/03/17 by Rose B from Braceville, IL Yes, Rose B recommends this product! A Must Have Toy !!!!?? Great place for pets supplies! All my shopping experiences have been pleasant.